The first month of the first quarter of 2019 is over. I’m sure we all have goals we desire to manifest throughout the new year. The challenge doesn’t necessarily come with setting the goals, it comes with execution. For some reason, this year feels different. I feel more positive and optimistic of what is to come than I did last year. I’m journaling, organizing, and clearing out my room to make space for the new. I’m happy 2018 is behind me. I’m a year older, wiser, but still, I sometimes lack the confidence and motivation to execute my goals. My goals this year include elevating my fitness, professional, and mental health journey. I’ve been obsessed with planners ever since I can remember. I use different color pens, write all my goals down, and create lists and check each item off one by one. It helps me feel and actually be productive. Mother Honestly, a Detroit-based mom organization, launched a planner made specifically for the busy mom. 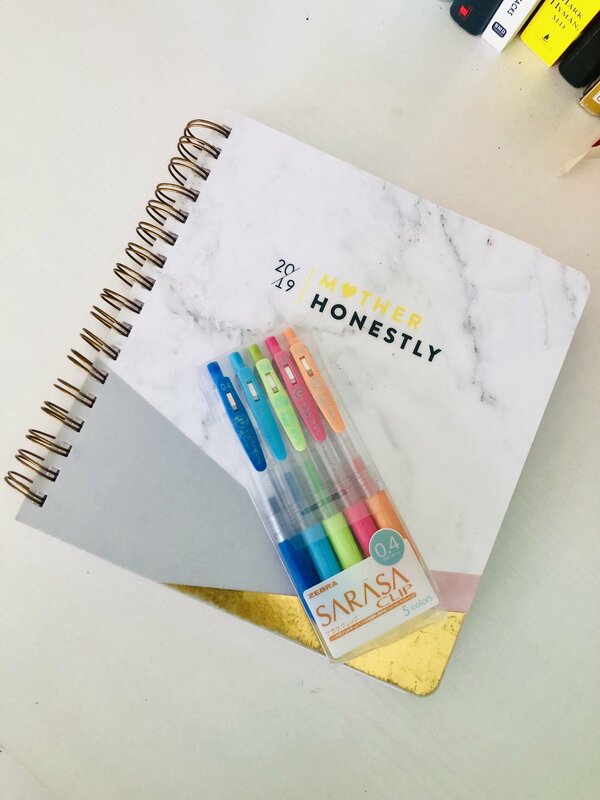 It comes with a space to make a vision board, goal-setting for the year and per month, a financial tracker, and even a removable dry erase board. When I’m on my laptop, it becomes difficult for me to focus when I keep logging onto Instagram, Twitter, and XONecole. I downloaded an app on my MacBook to help me focus. It blocks the distracting websites that you put on your Blacklist. There other applications that you can download as well. When I say utilize my resources I’m talking about following up with my mentors, keeping in touch with professors that shaped my academic career, and utilizing my network. It’s also important to have an accountability partner with experience and success achieving my specific goals. For example, if I have a goal to work on my fitness, have an accountability partner that is into fitness! It’s inefficient to have two unmotivated people basking in un-motivation. I love going to events with Femology Detroit or other women-centered events to surround myself with like-minded women. I also use LinkedIn, mommy groups, yoga, and hitting the gym. You can meet people anywhere and you never know who may cross your path. I try to be open-minded and go into everything with an open heart.